Pranab Mukherjee, now President of India, was never so transparent either in expressing his disagreement or support. 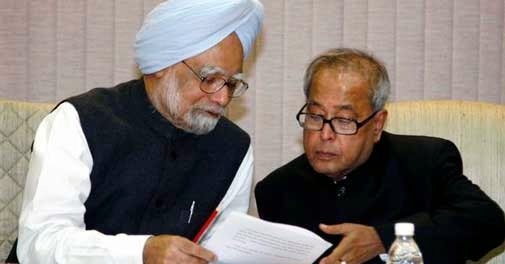 After returning from an important visit to Washington DC, Pranab chose not to brief the PM for three days. He had gone to see Sonia Gandhi but had not sought an appointment with Dr Singh. On the third day, I asked Dr Singh what had transpired at Pranab's meetings with President (George W.) Bush and Condoleezza Rice. 'I don't know,' was his plaintive reply. I was taken aback. How could the foreign minister not have briefed the PM immediately on return? I suggested to him that he should summon the foreign minister and demand a briefing. I am not aware if Pranab was actually summoned or himself found time to drop in, but in any event, he visited the PM the next day. Similarly, Pranab would 'forget' to brief the PM on his meetings with the Left. - Sanjaya Baru in his book "The Accidental Prime Minister"